I have written the post about what’s important when we make decision where we are going to work. And the fact that I am here means to me that I done good choice. In many companies we will hear that we are get crazy when we suggest to our boss that we would like to go to big event like Ignite. In my case everything has been organized by my boss. It means that there are people who care about employees and team. One more thing. I had possibility to participate one day before Ignite in something called Pre Training Day. That was really amazing. I spent 8 hours and learn so many things in such short time. I had possibility to talk to people who created in fact solutions which I use on daily basis. And when you can just ask Vesa Juvonen or some other people from his team about almost everything? Wow! That’s superb useful. When you do exercises they will help you to make it running. That was really great time. What I found about myself? Second important thing. I always think about myself as SharePoint architect, developer, administrator. I found out during conference that this is dead end. 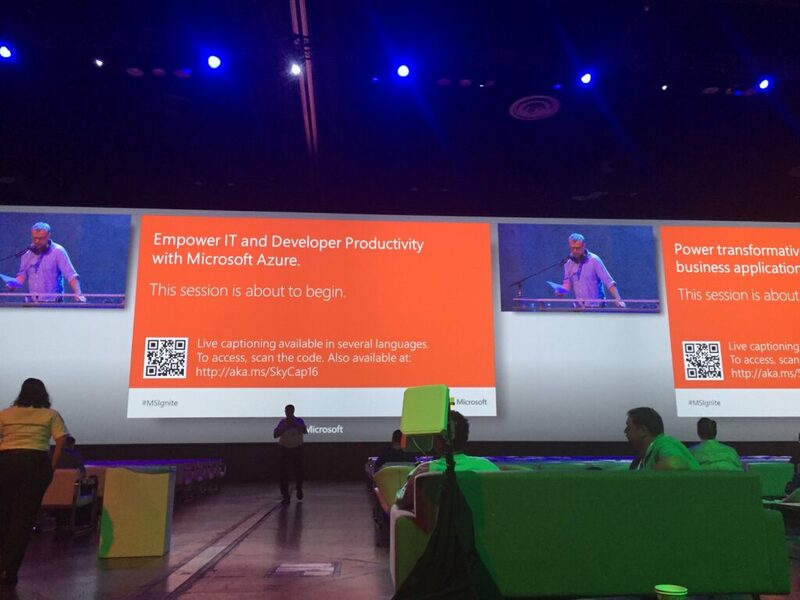 From my point of view I can still work on SharePoint but as part of something bigger – Office 365 and Azure. For me it’s not a core product any more. Of course there are still jobs on the market with C# coding for SharePoint, but I am not going to invest any second of my time to learn new things about SharePoint on premise. Of course you can get really good position now, but what’s next? You will stick to the solution which is going to slowly die. And after few years you will be on the market with skills which no one needs. I had possibility to ask Microsoft employee what about SharePoint Apps? He asked me: Are you already started to build something? No? So don’t do this. Focus on SharePoint framework. Of course we will get next version of SharePoint server, it has been already announced by Microsoft during conference. But do not expect any breakthrough. Simple example. We heard some information about bots in Office 365 at Ignite and how we can use it, but there’s no plans that they will be available on the premise. In general most of really amazing ideas is in the cloud. I've got more than 20 years of IT experience. IT is my passion and I am still increasing my skills. I work as a SharePoint; Office 365; SQL Server architect. Genesis Framework – why should you use it? Someone recently asked me how I do it, that my blog has such a neat appearance and how long I learned PHP. Well, that's just the Genesis Framework 🙂. … [Read More...] about Genesis Framework – why should you use it? Microsoft Teams – What are we talking about?